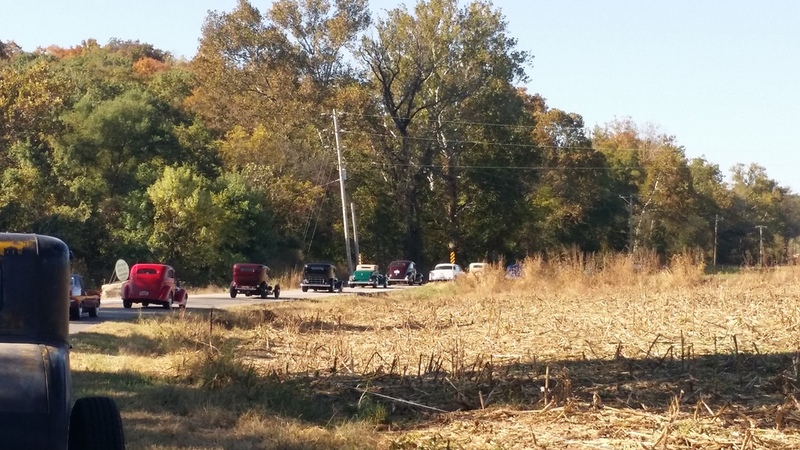 I’m still reflecting on the events of this past weekend. 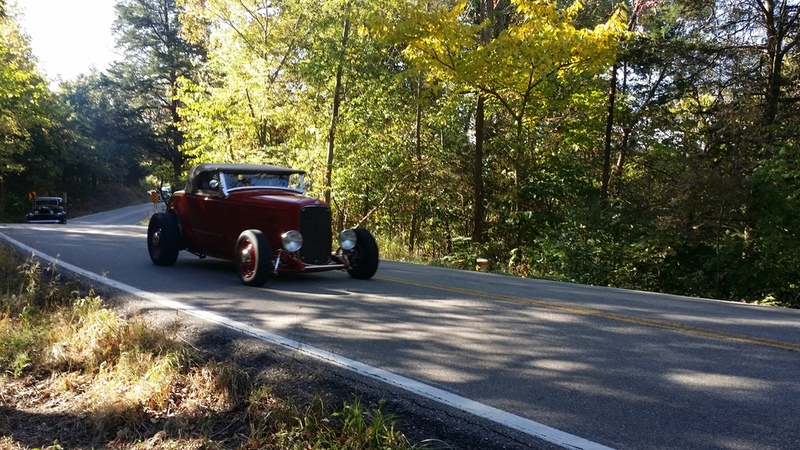 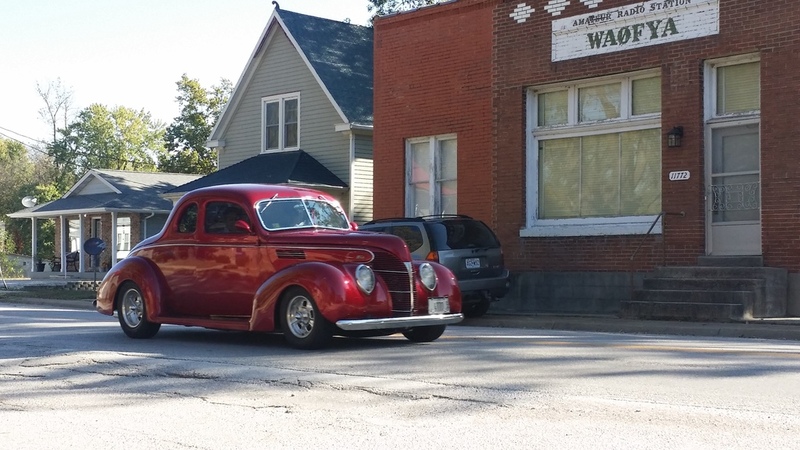 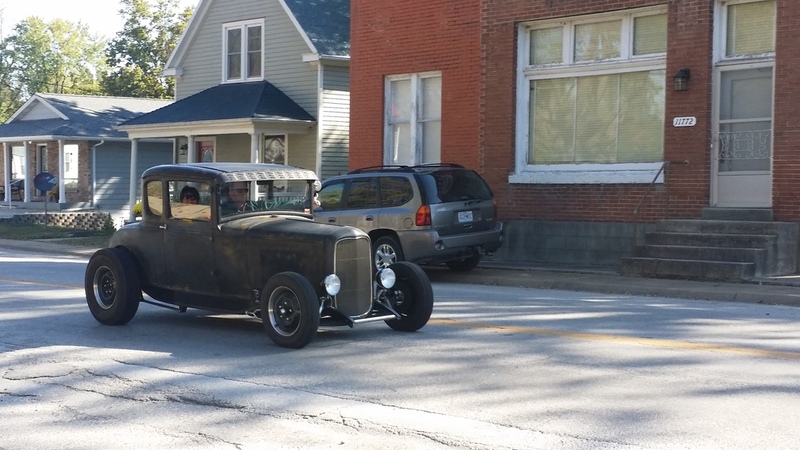 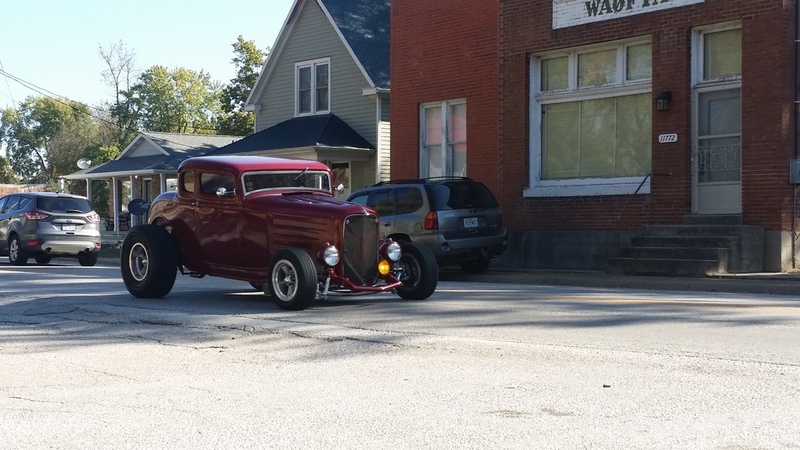 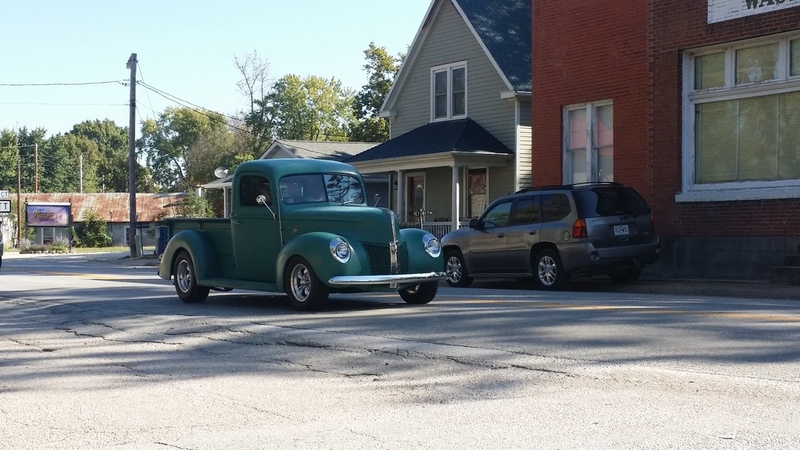 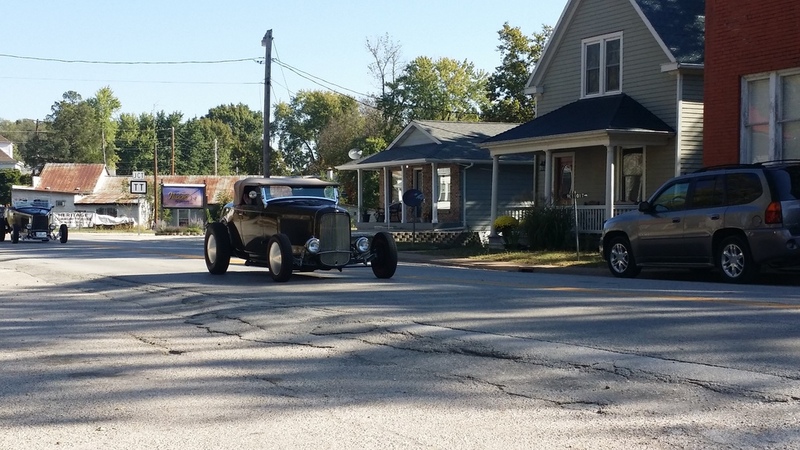 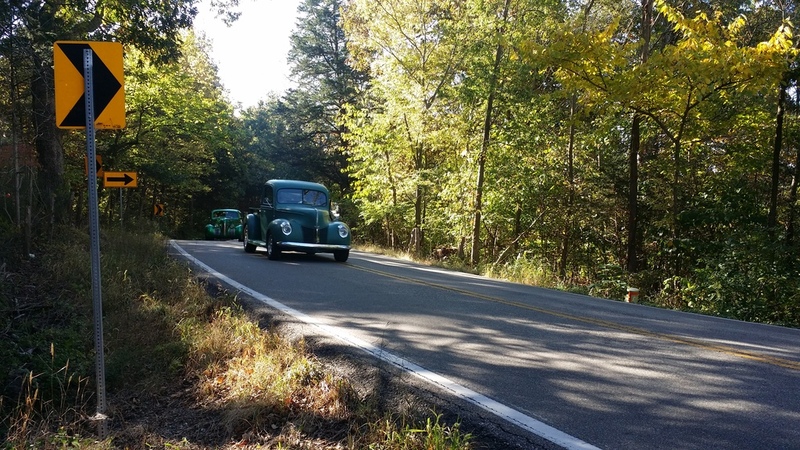 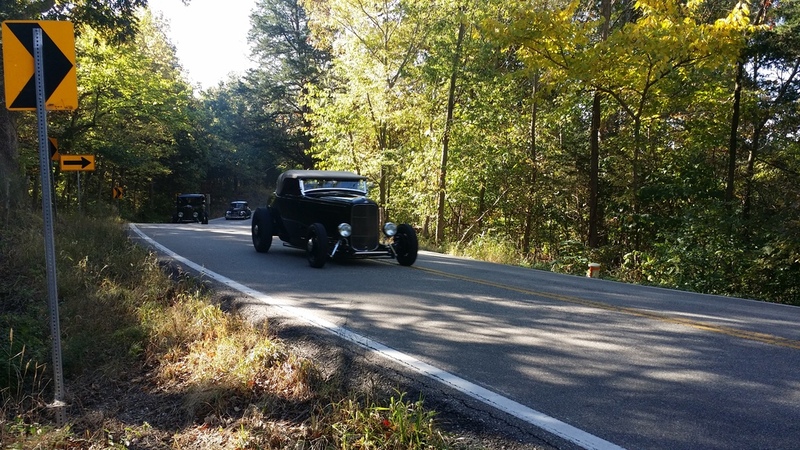 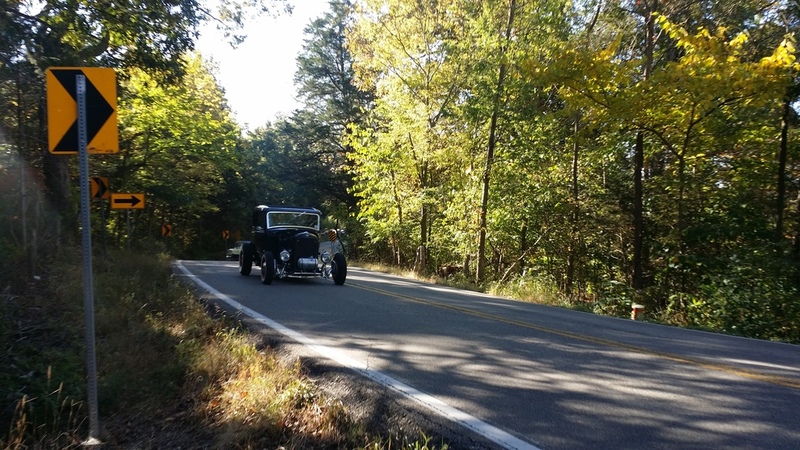 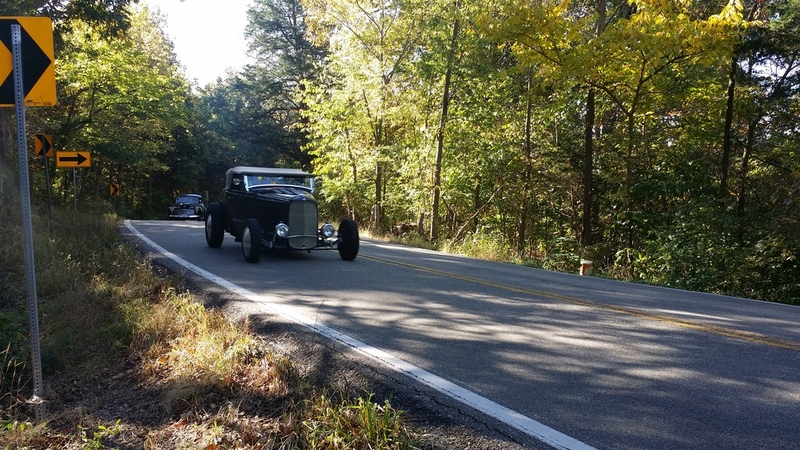 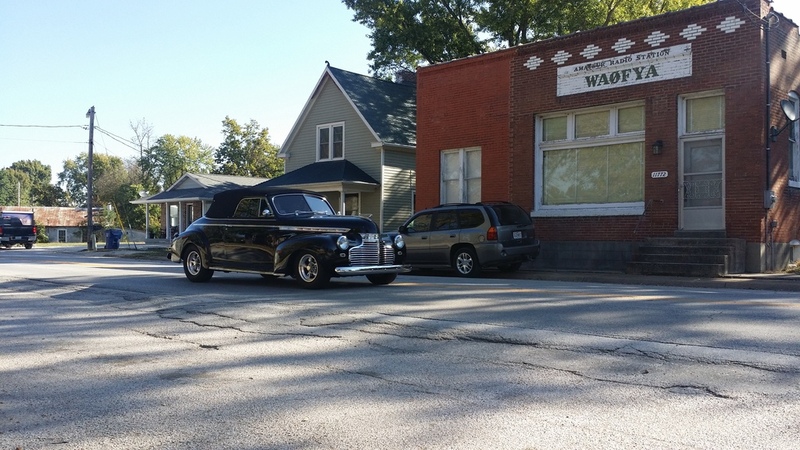 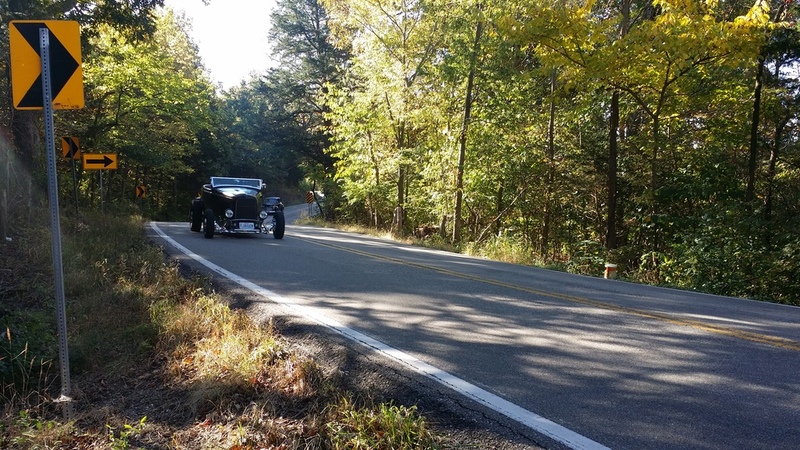 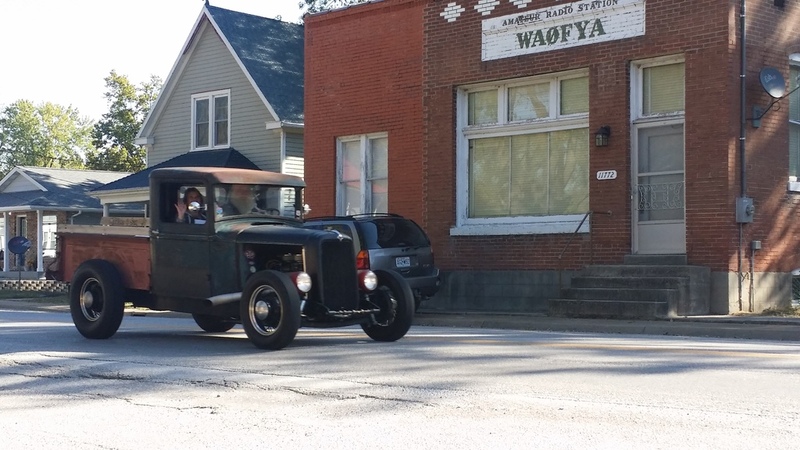 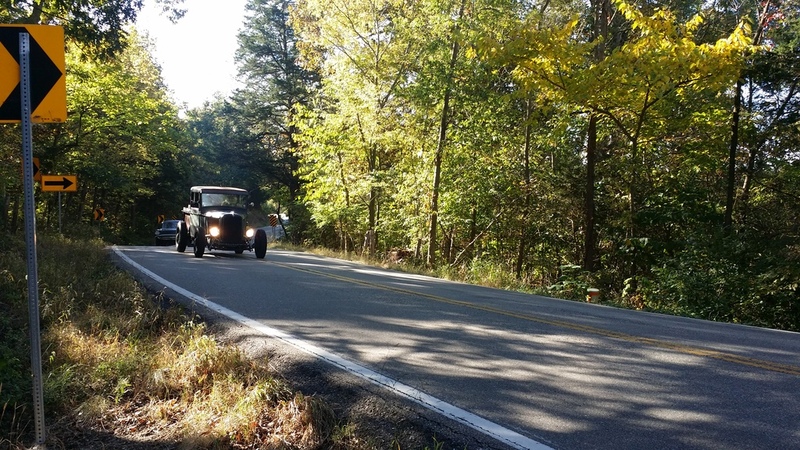 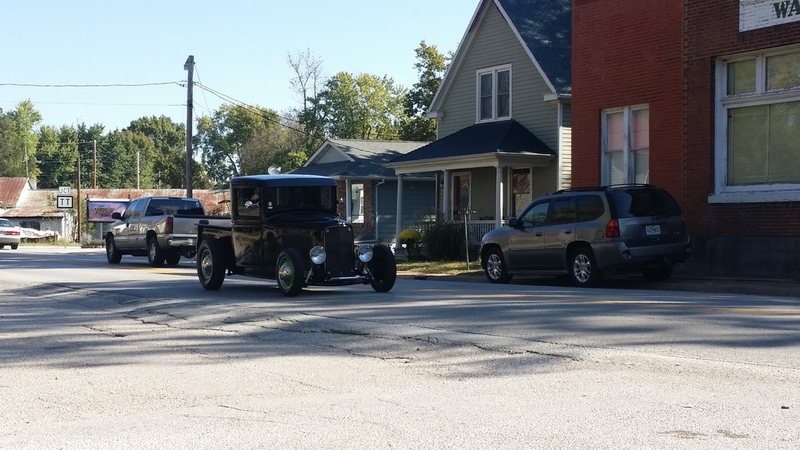 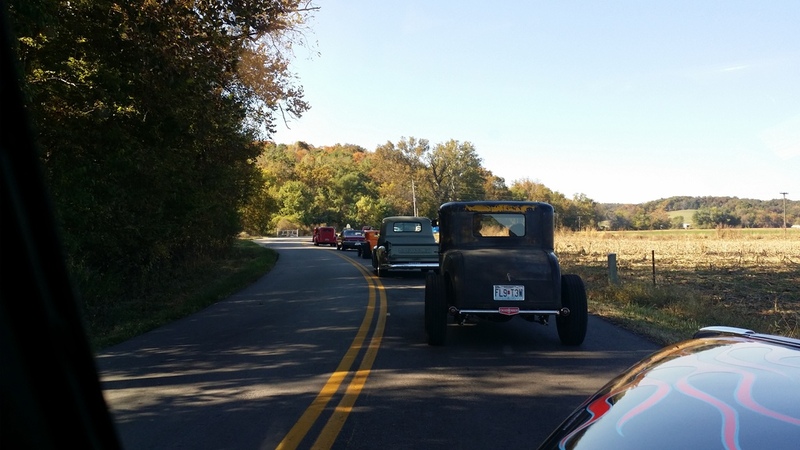 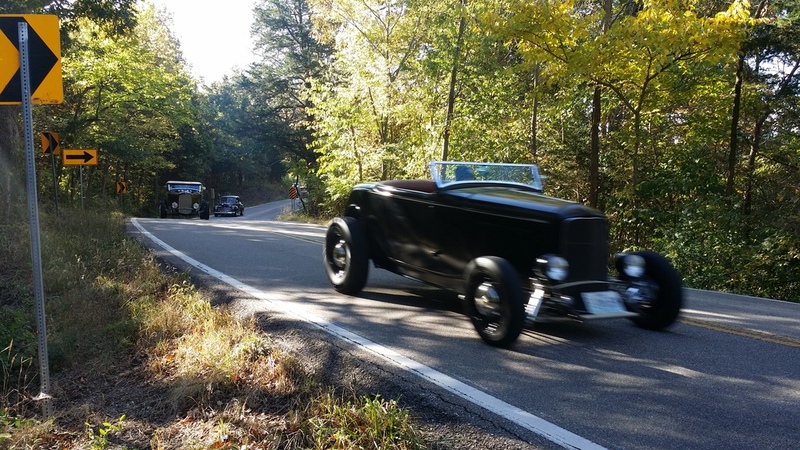 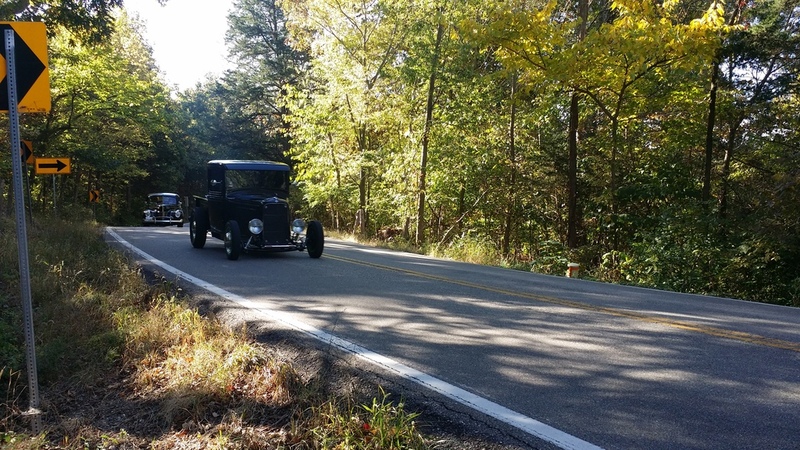 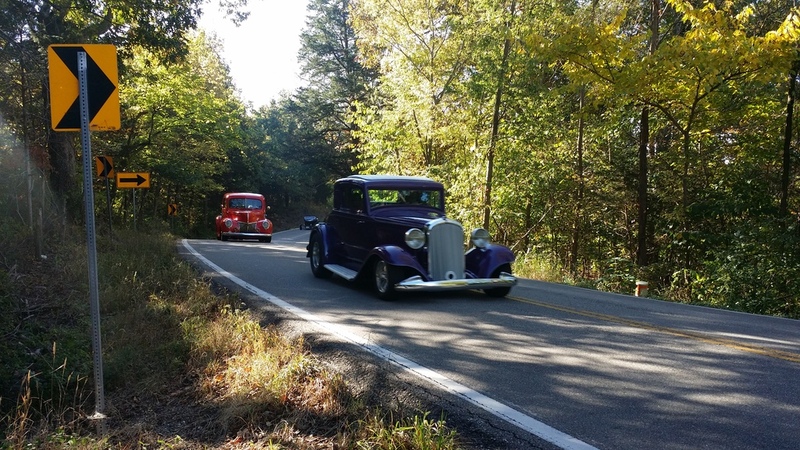 While I could go on and on about the fine folks and the amazing hot rods that came out to the 2nd Annual St Louis Hot Rod Hundred event, my thoughts are racing around the various things in my life that helped cause this thing to happen. 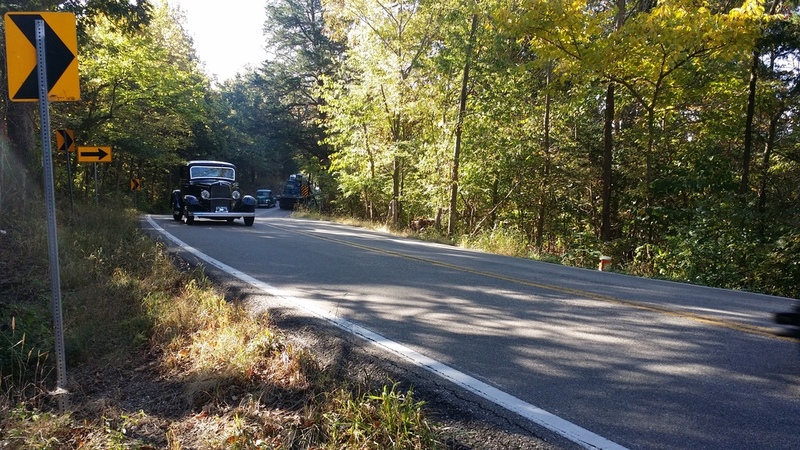 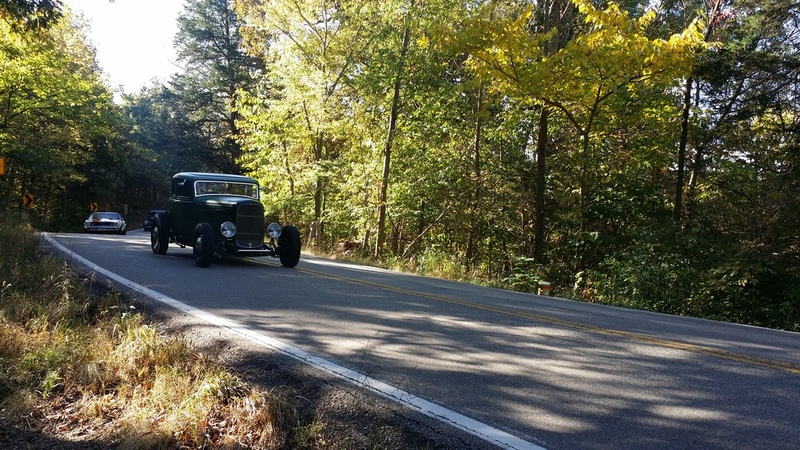 One of the many thoughts that have been racing through my head is that my involvement in these events are all due to that silver ’37 Ford sedan. 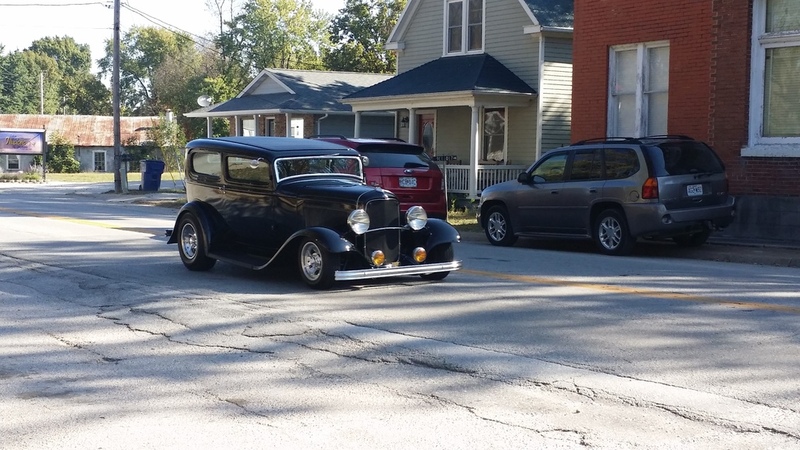 The ’37 changed me. 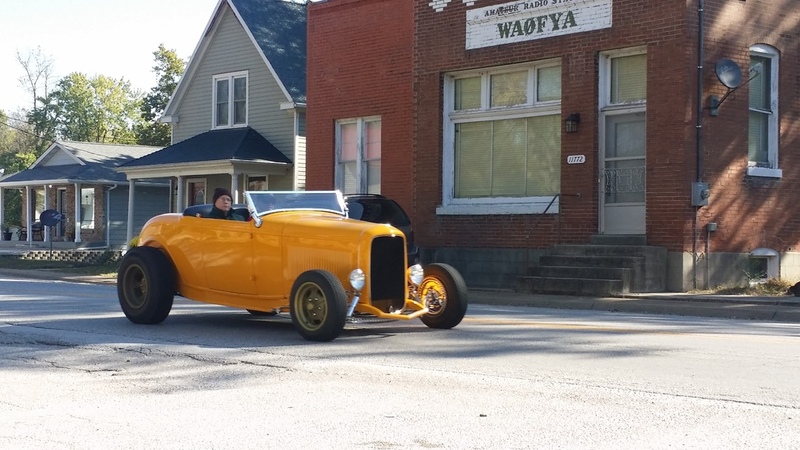 It changed how I thought about hot rods. 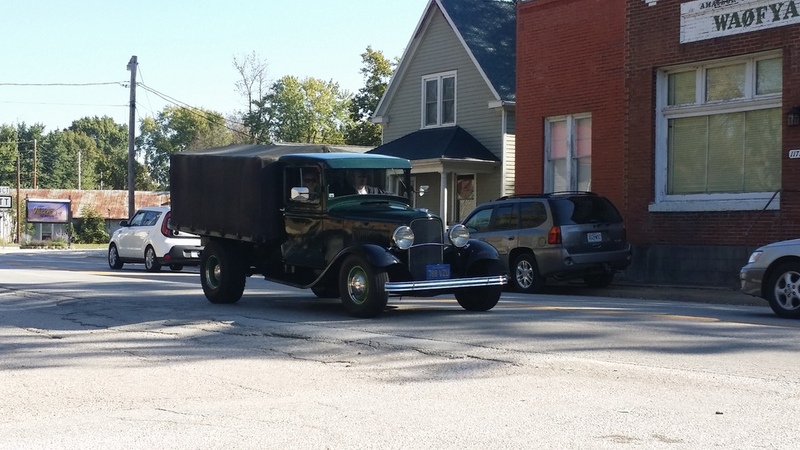 It changed my driving habits. 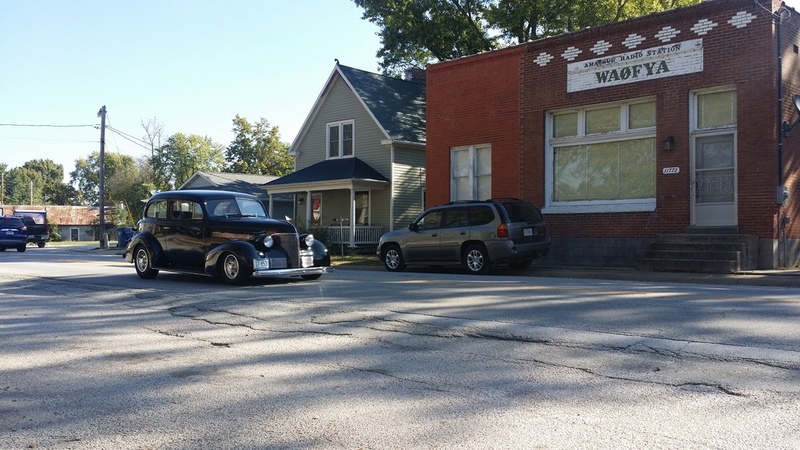 But one of the most important things is that it changed (actually added to) my circle of friends. 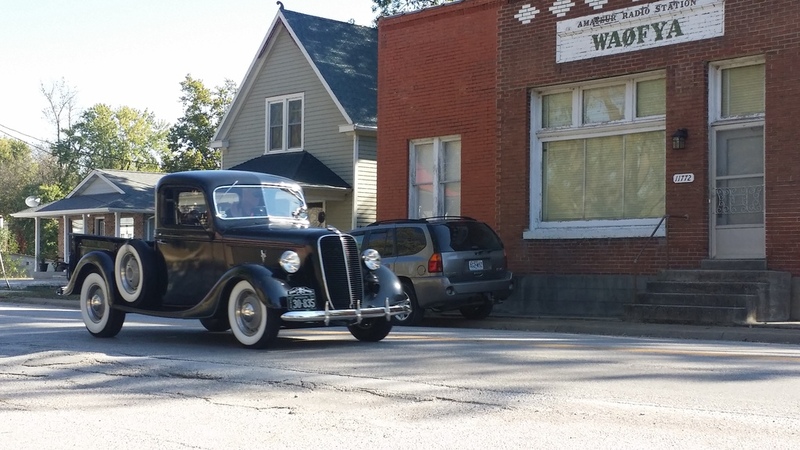 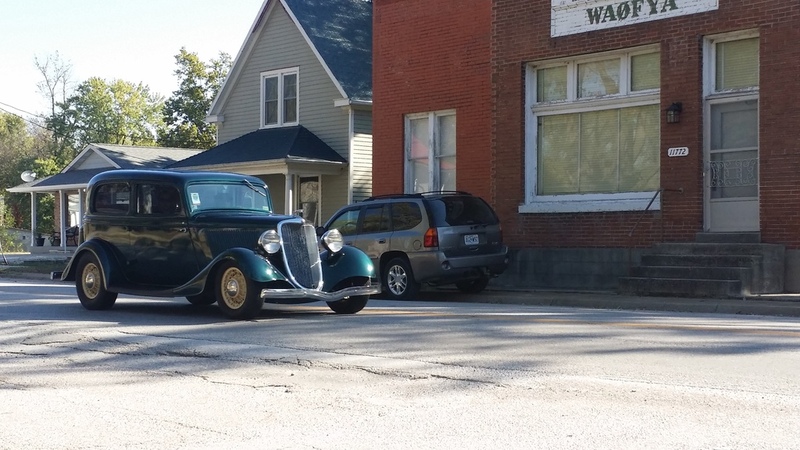 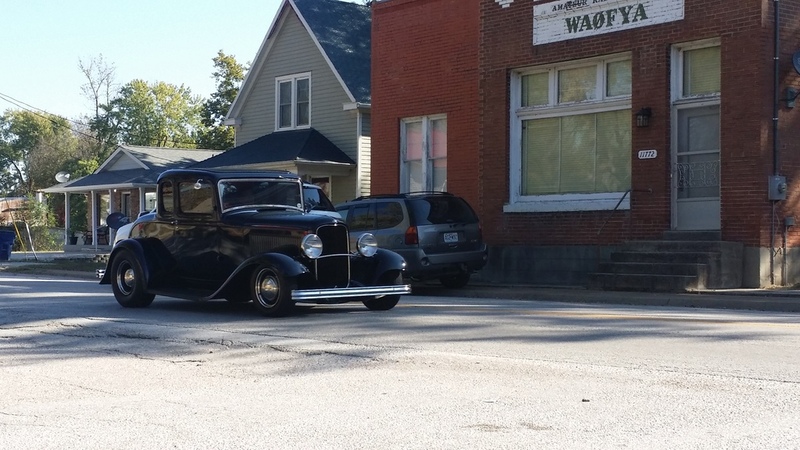 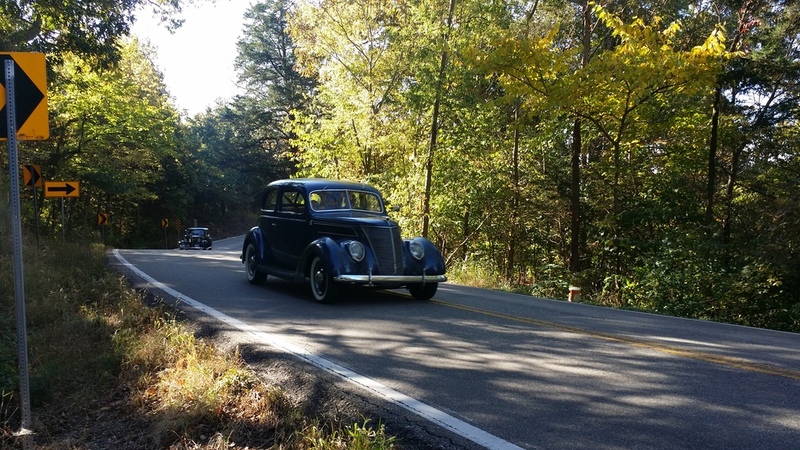 Because of the ’37 sedan, Clay Vance and I became friends. 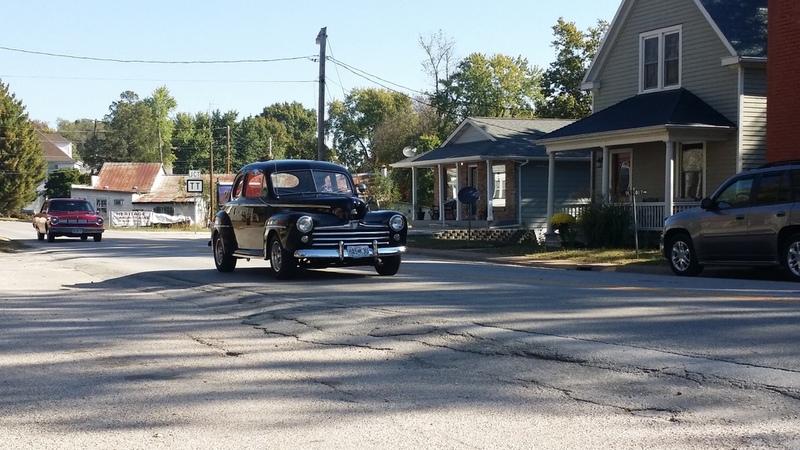 Later, after making sure I wasn’t a total goofball, Clay invited me to be a member of the CrossMembersCC. 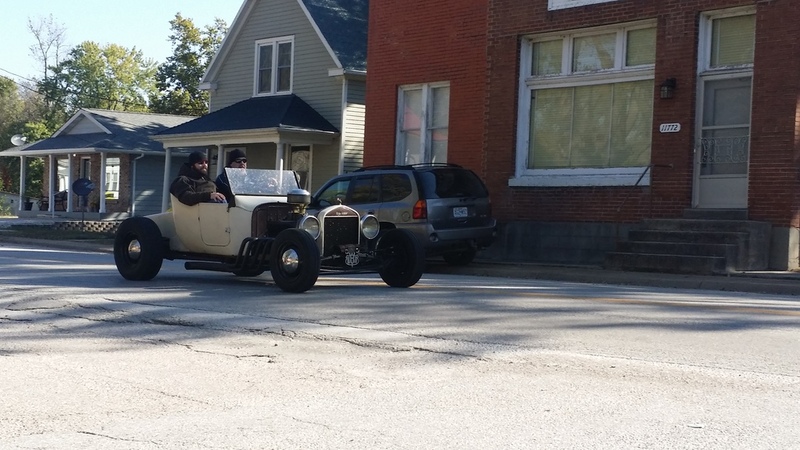 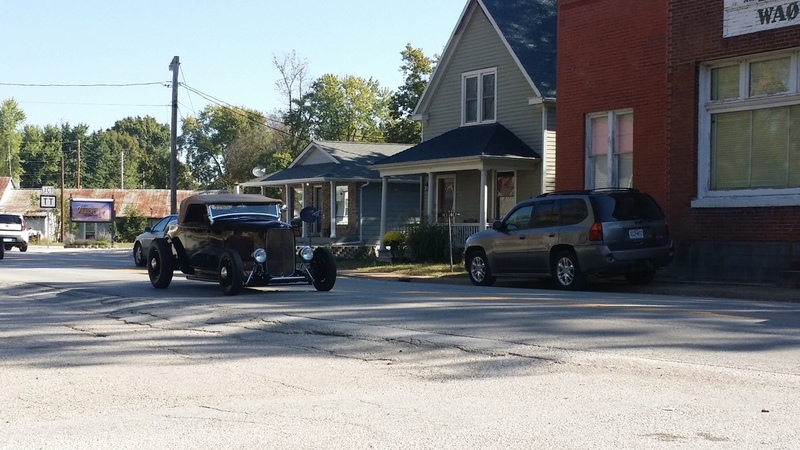 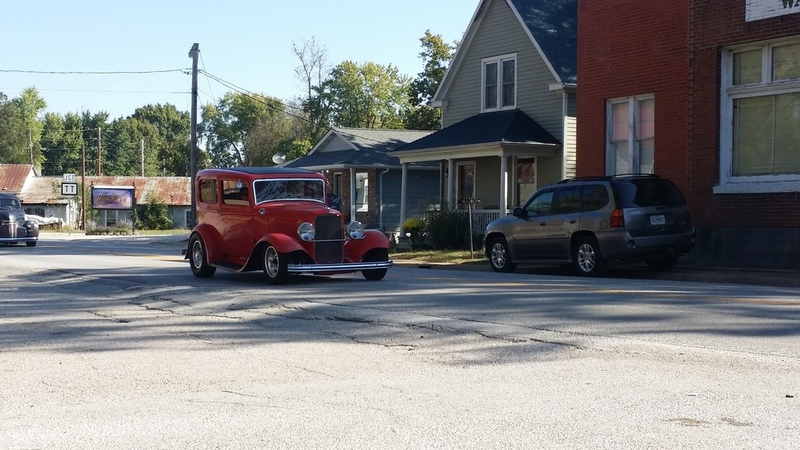 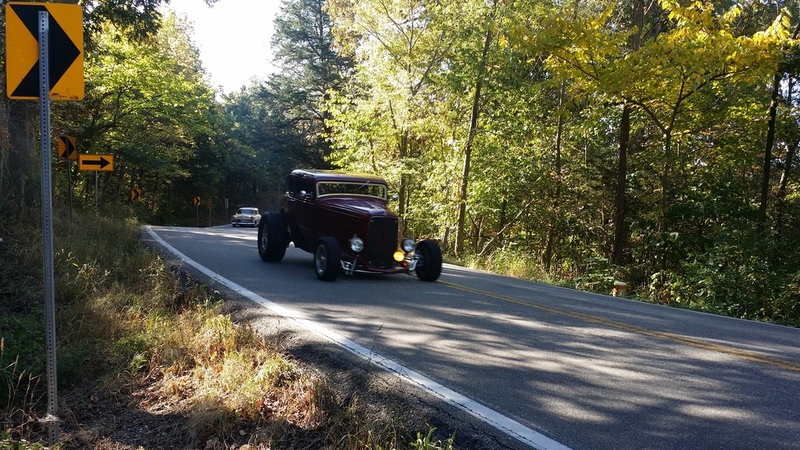 As a Christian car club, we were brainstorming on what we could do to help expand each member’s circle of hot rod friends, and the idea of a “reliability run” came up. 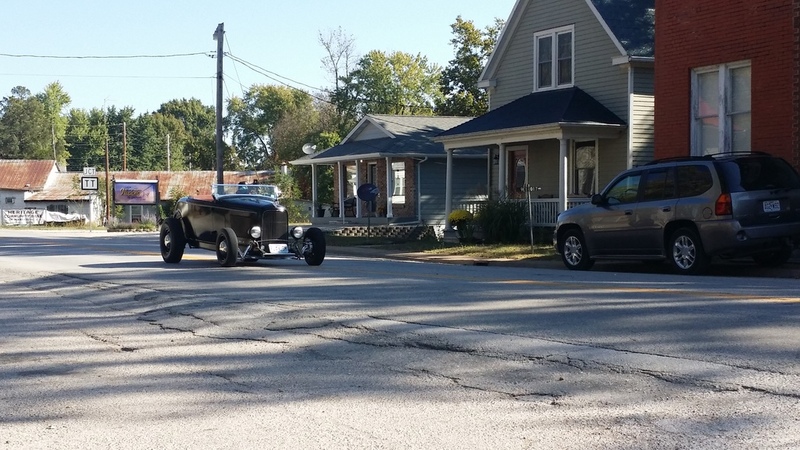 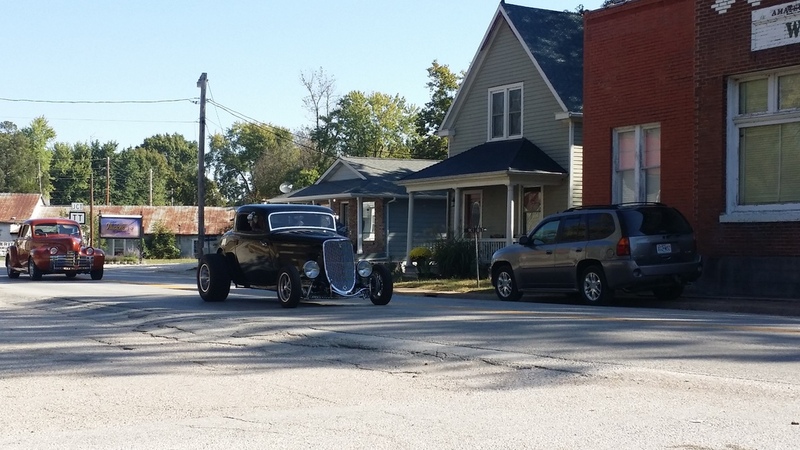 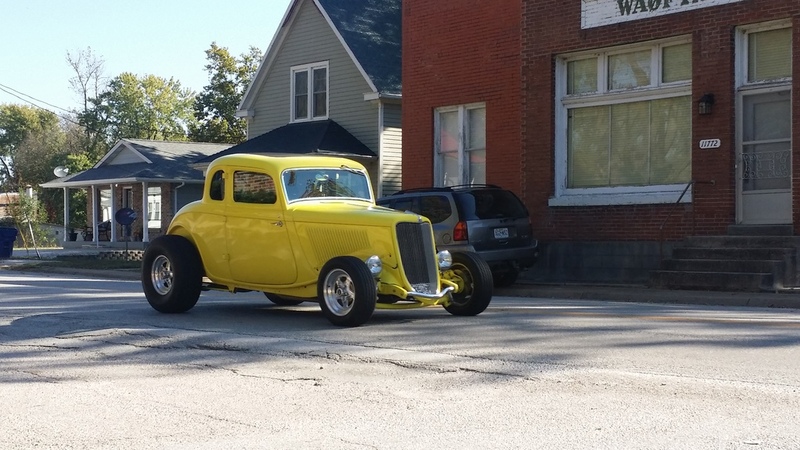 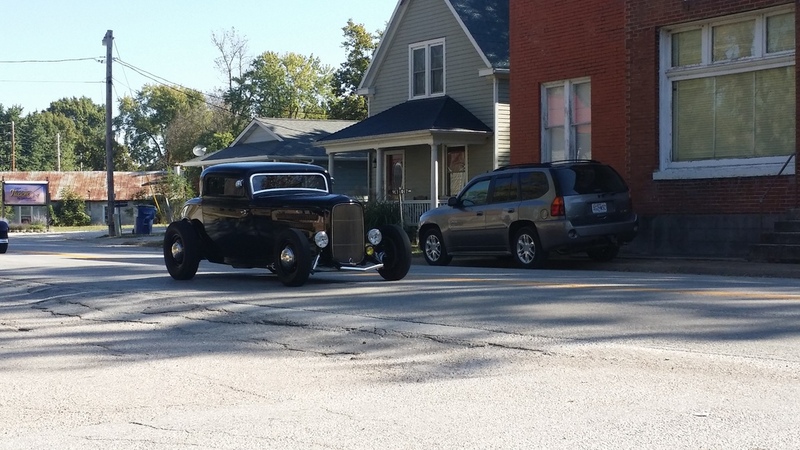 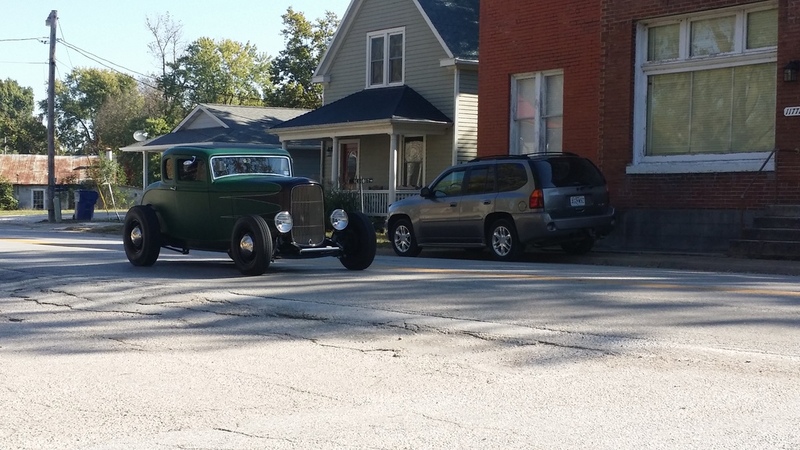 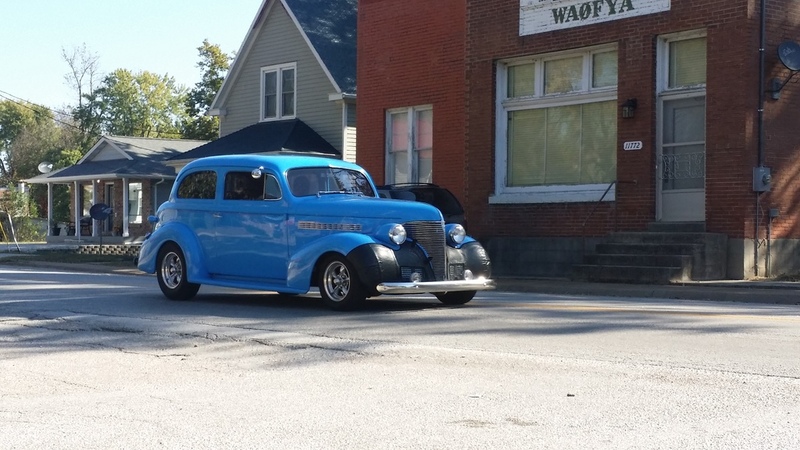 I grew up with one of my favorite street rod events being a very low key “color tour” hosted by the Roarin’ 30’s, back in the 70’s. 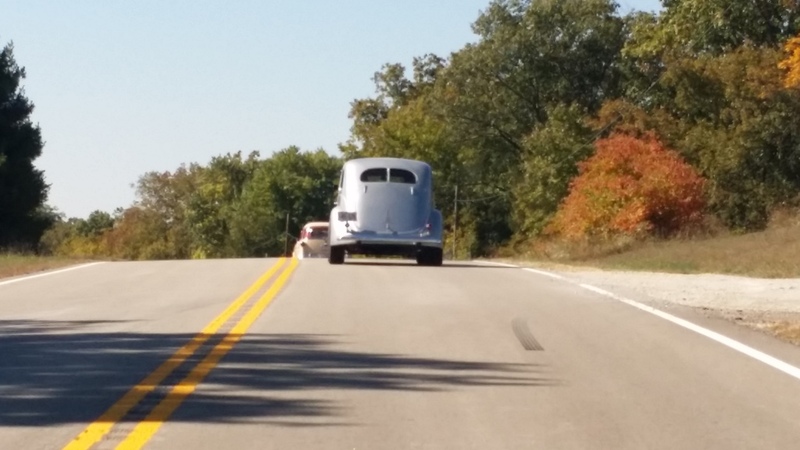 I latched onto the idea!!! 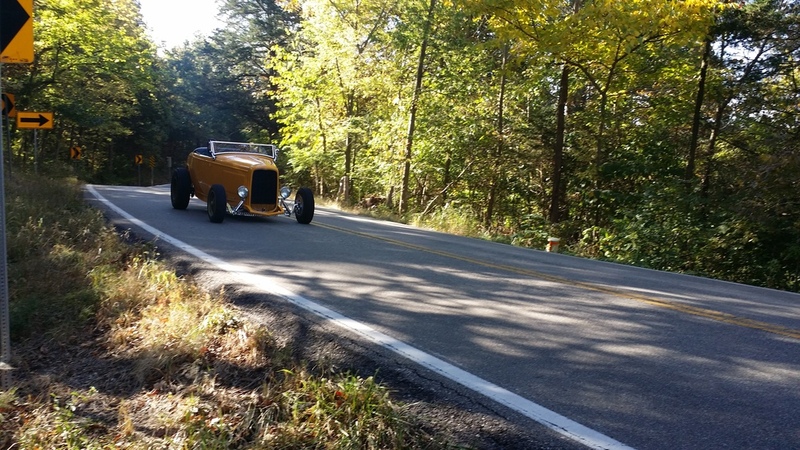 One of the cool things about the St Louis Hot Rod Hundred is that it allows me to be a part of putting together an event for the guys that I grew up admiring and regard as my “hot rod mentors”. 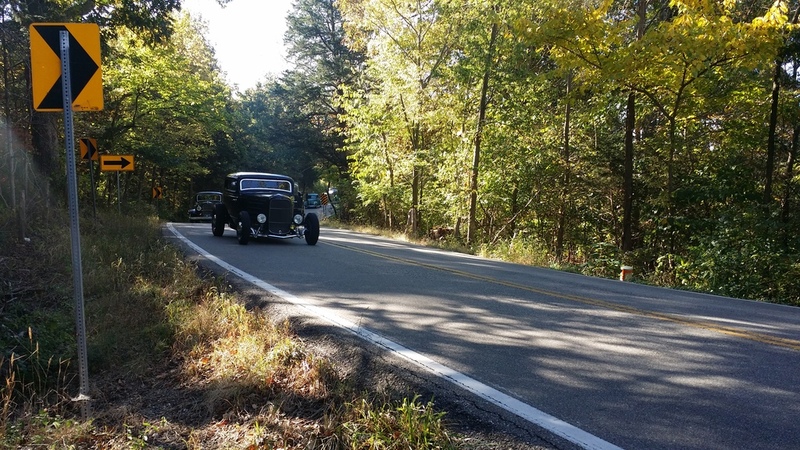 It’s because of their influence that I like the stuff that I like, and their friendship is highly valued. 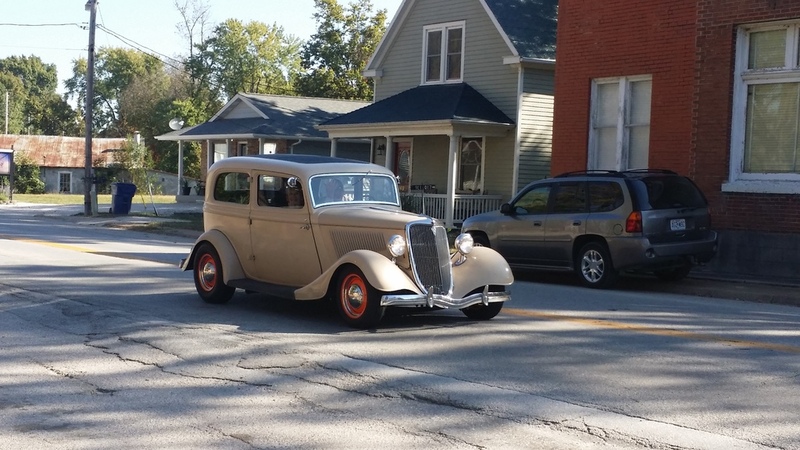 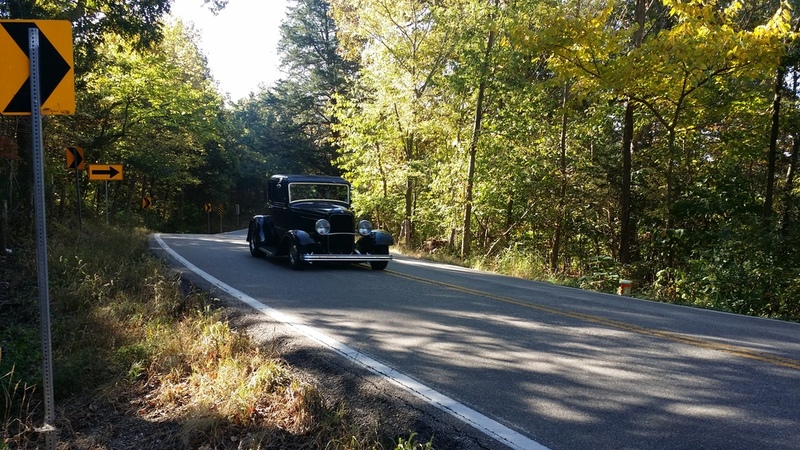 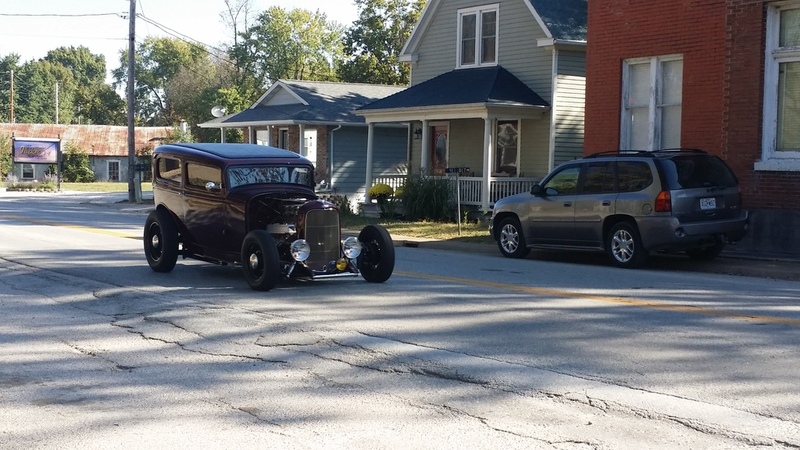 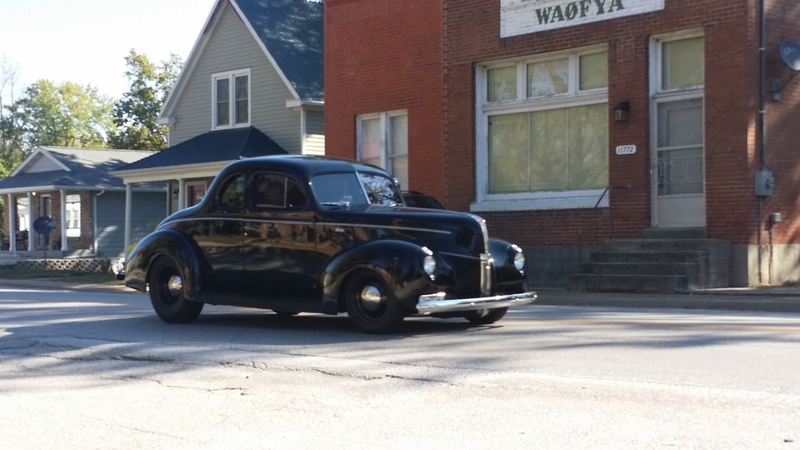 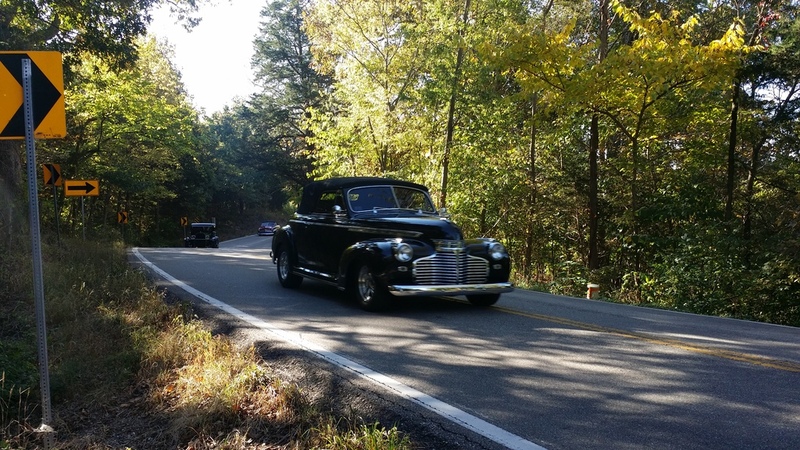 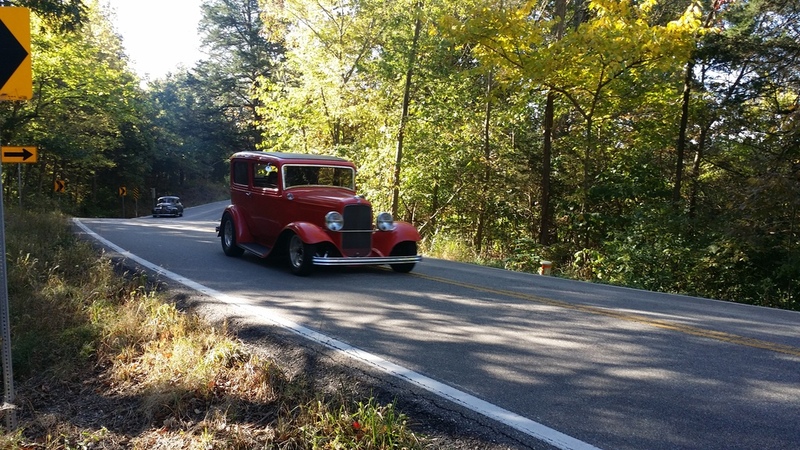 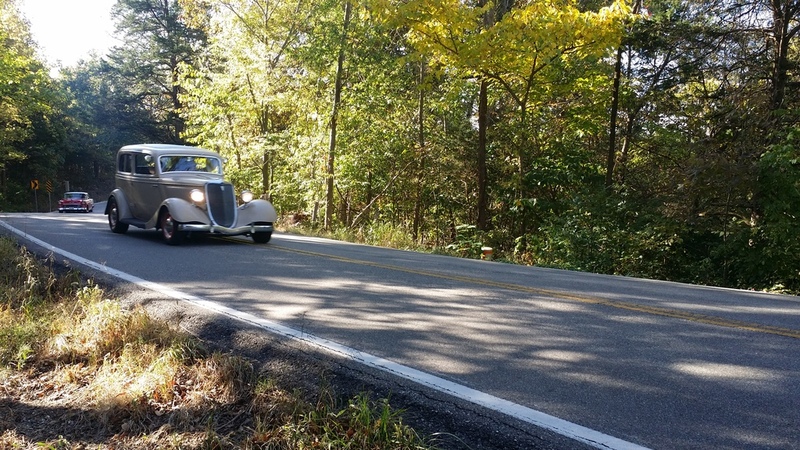 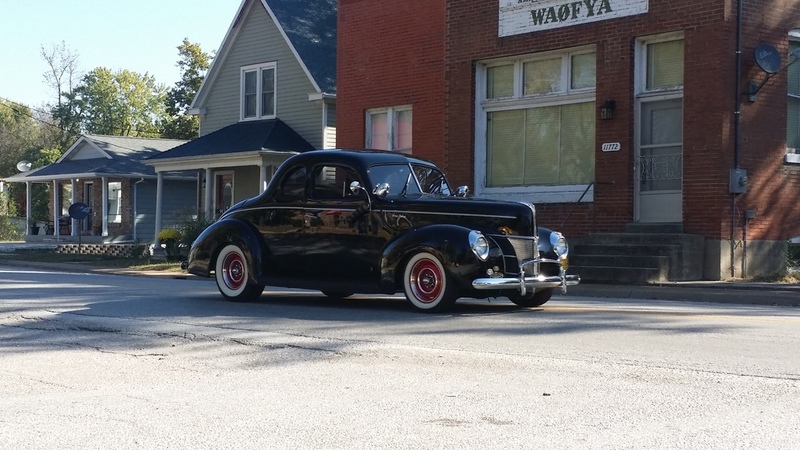 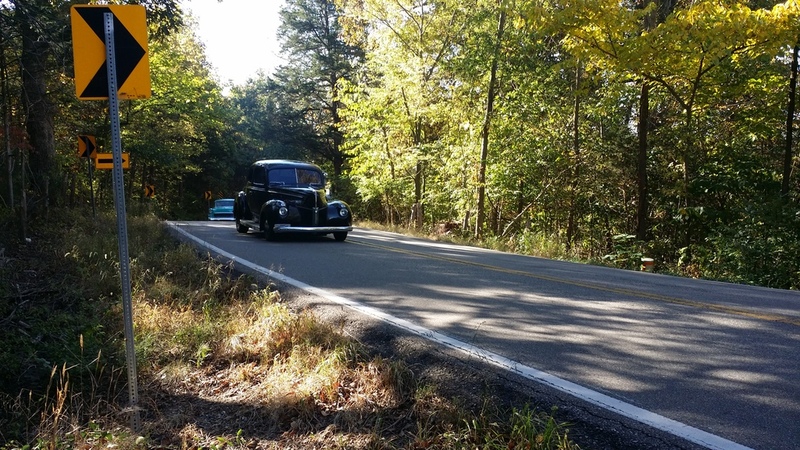 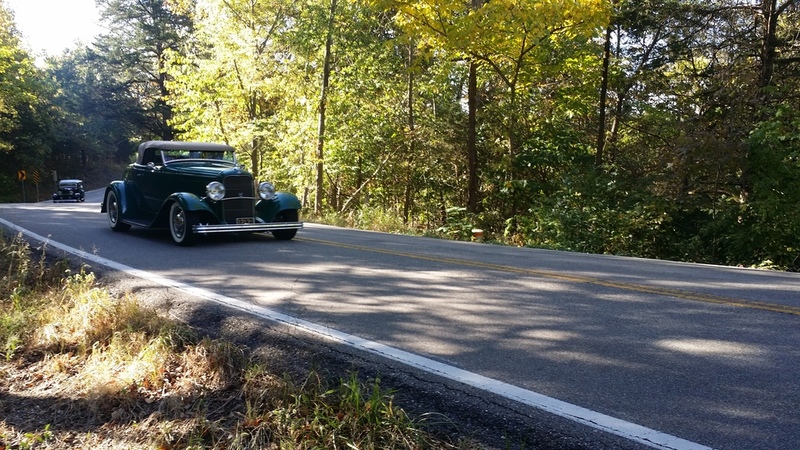 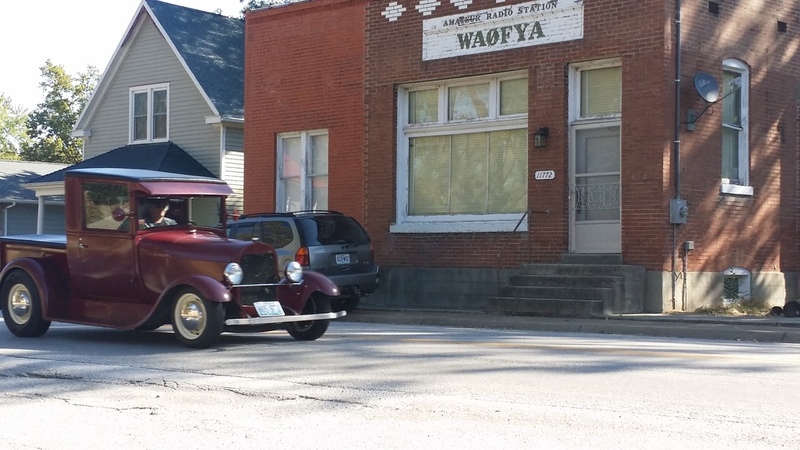 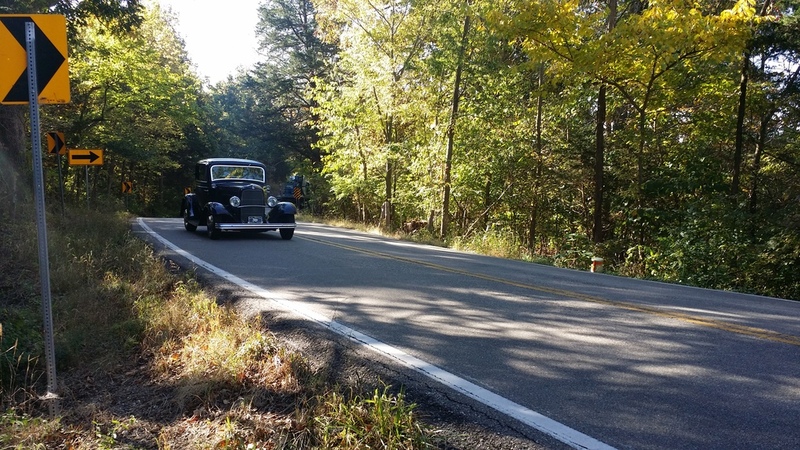 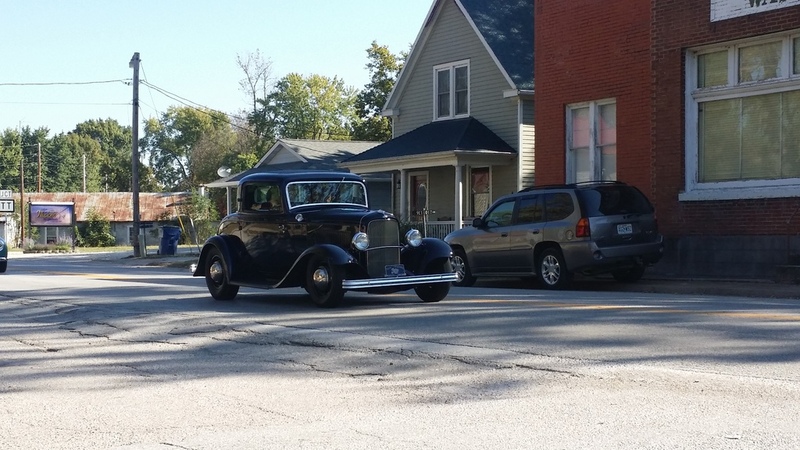 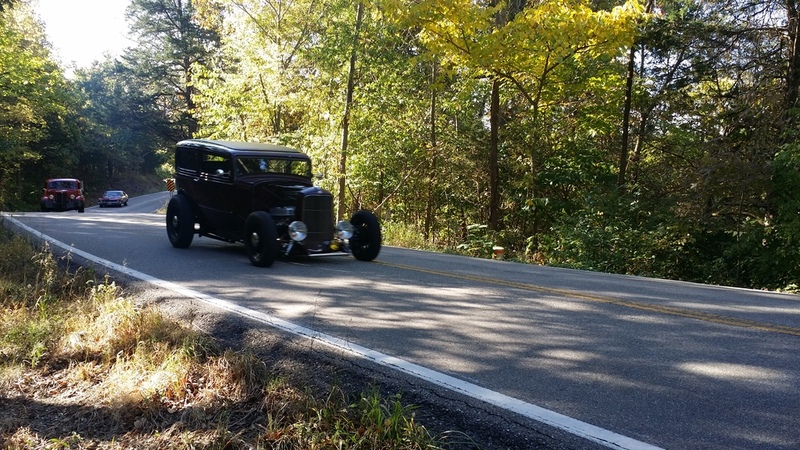 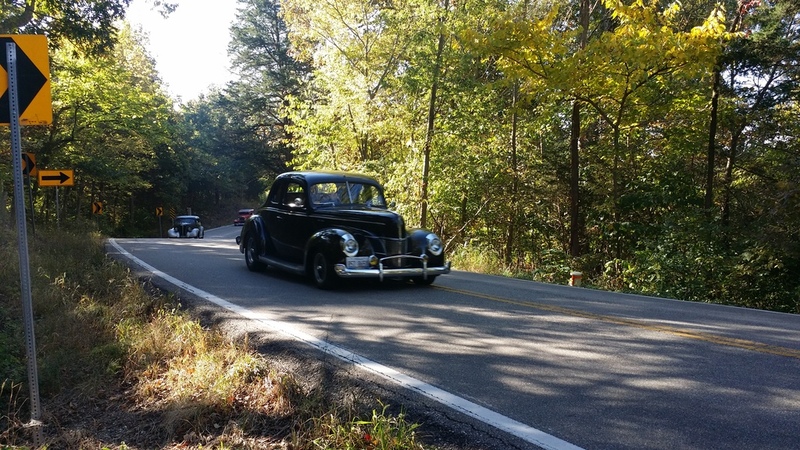 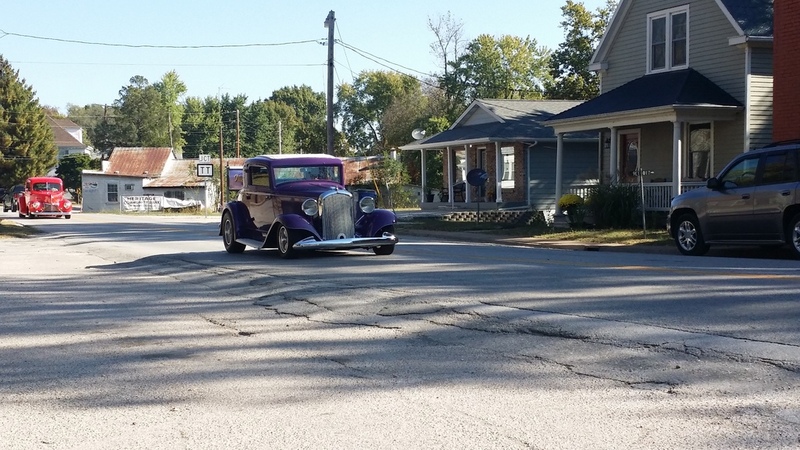 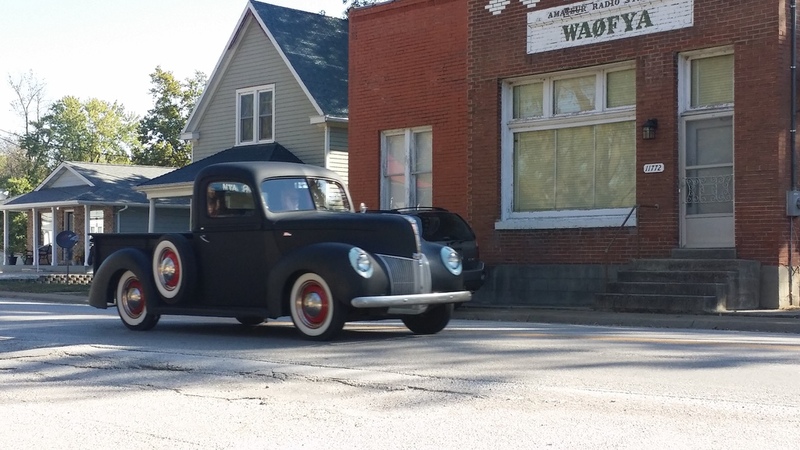 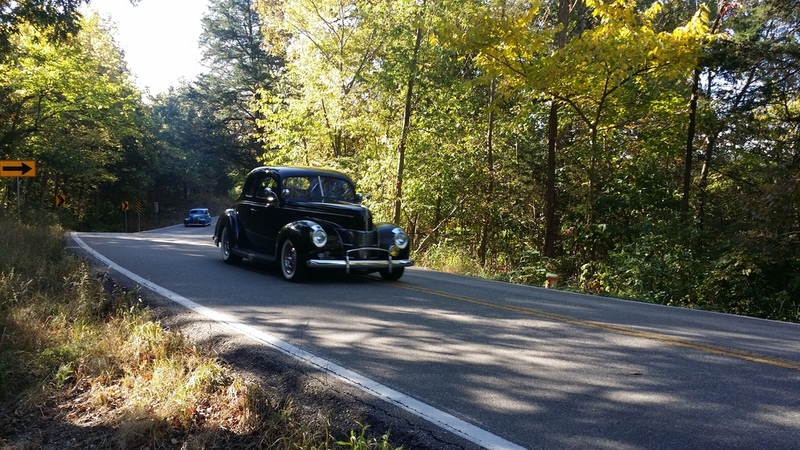 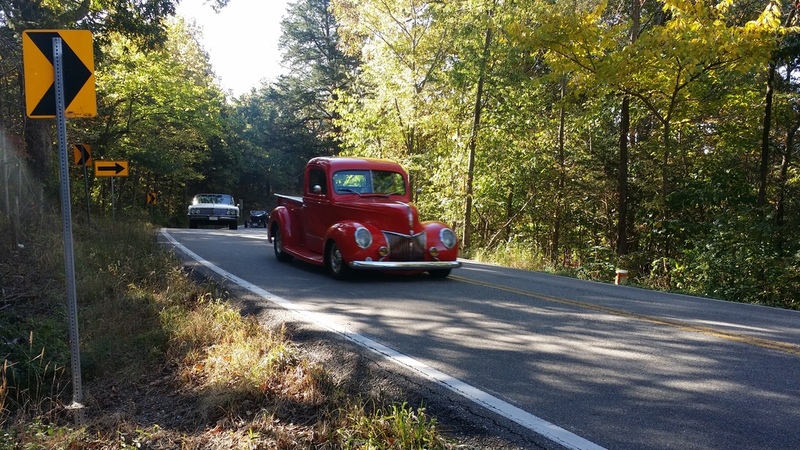 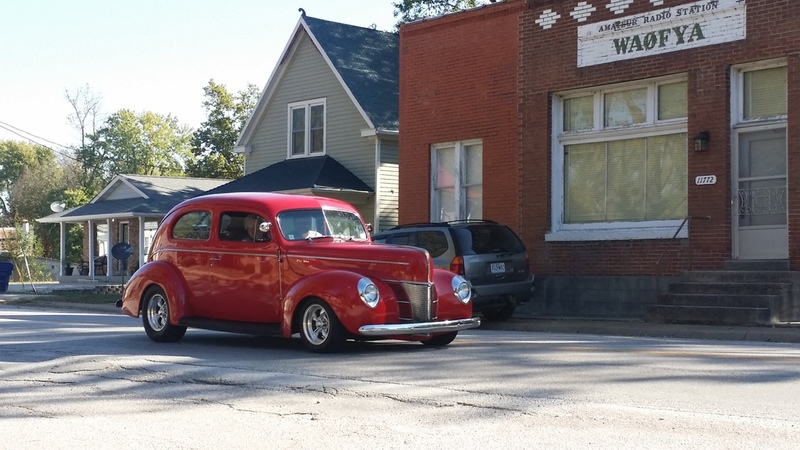 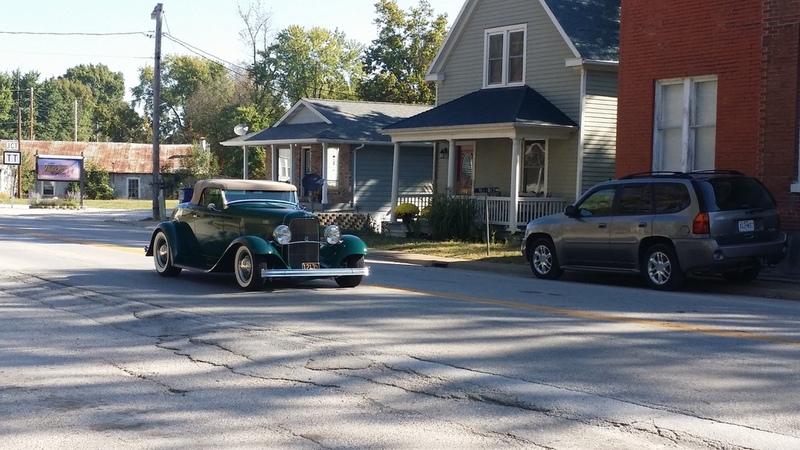 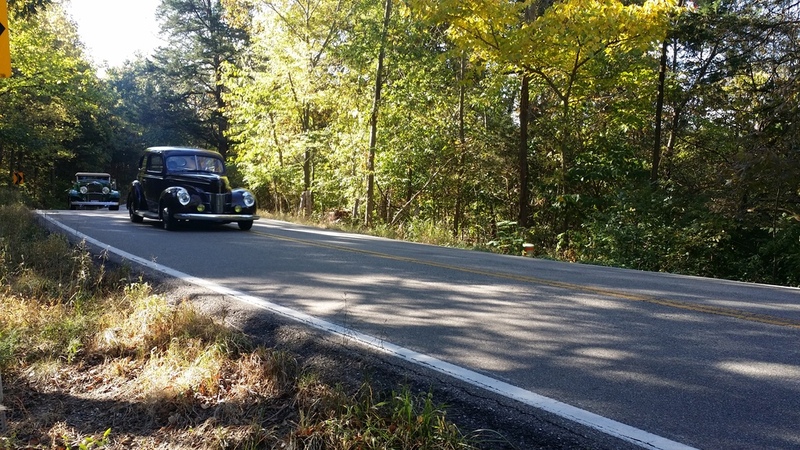 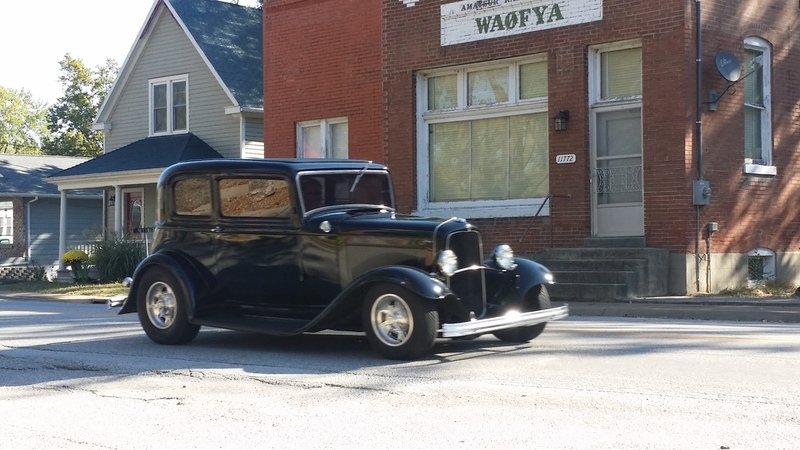 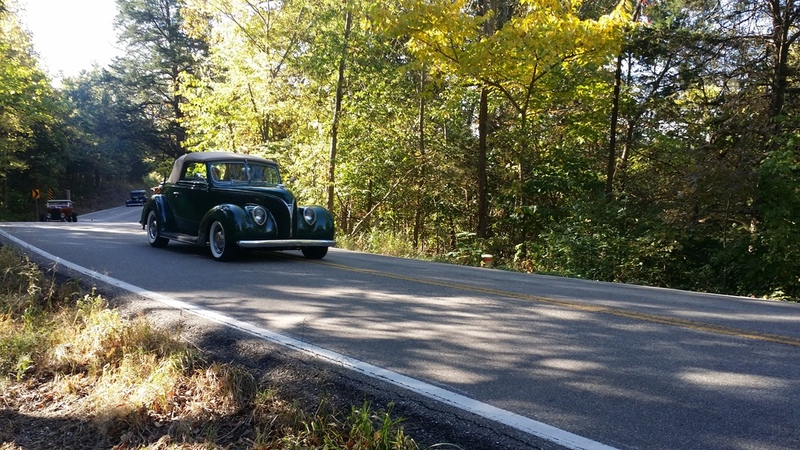 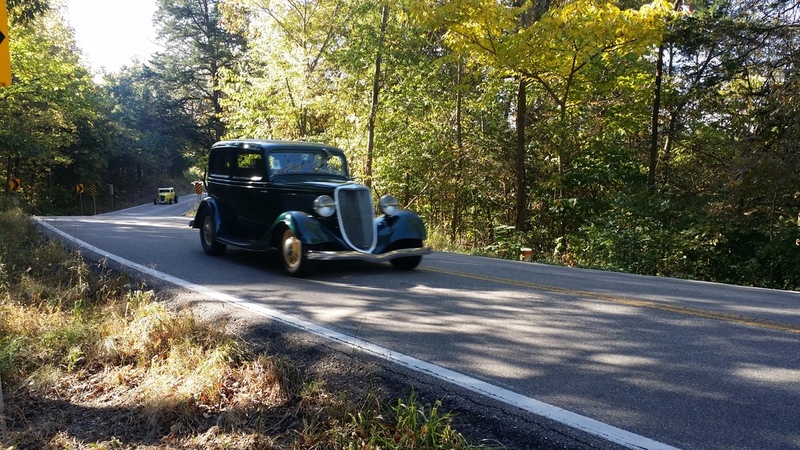 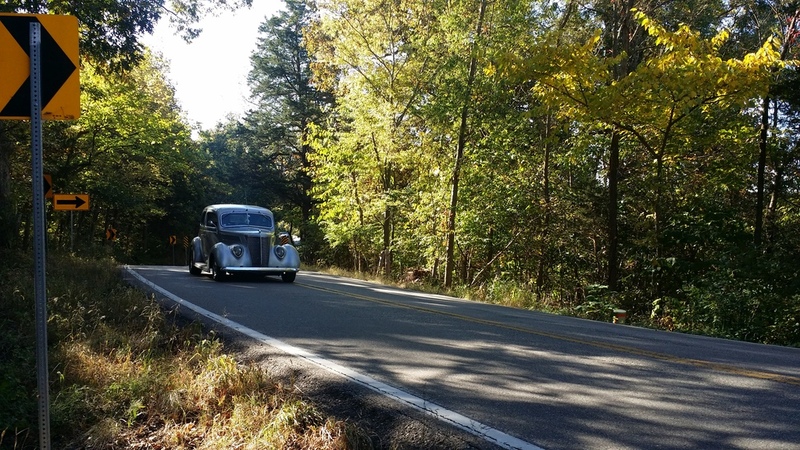 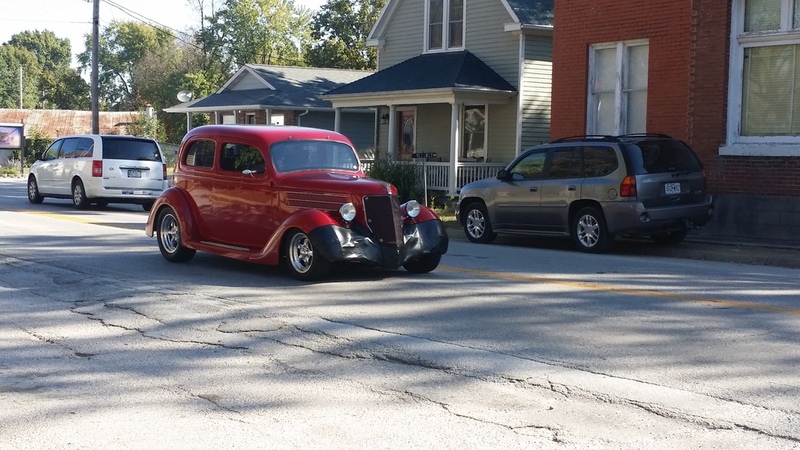 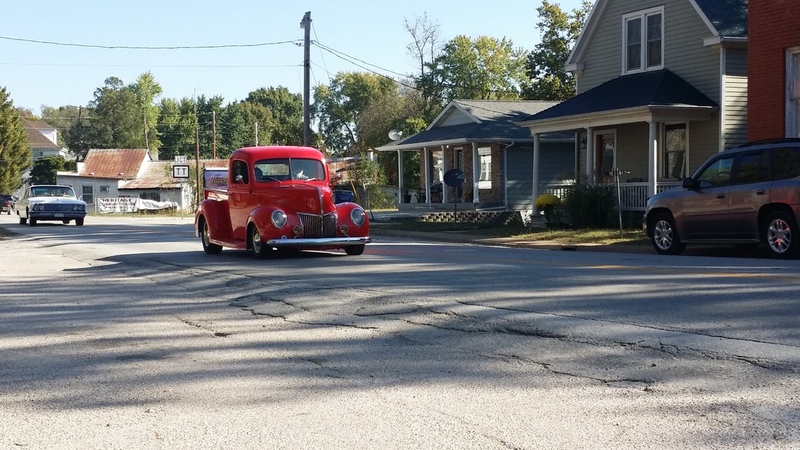 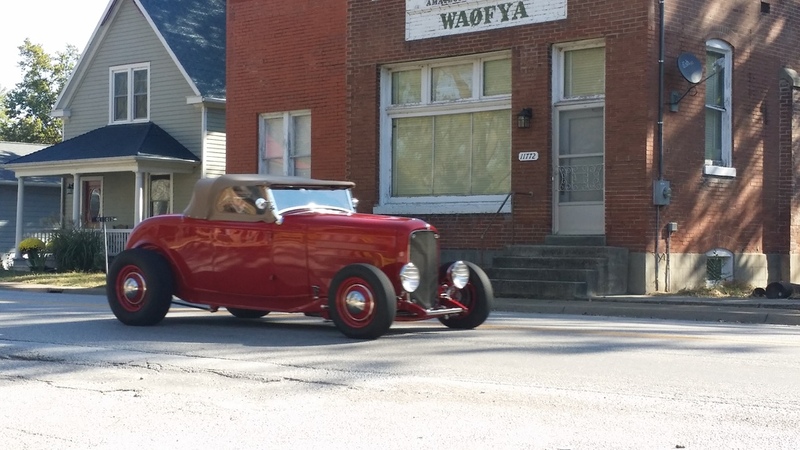 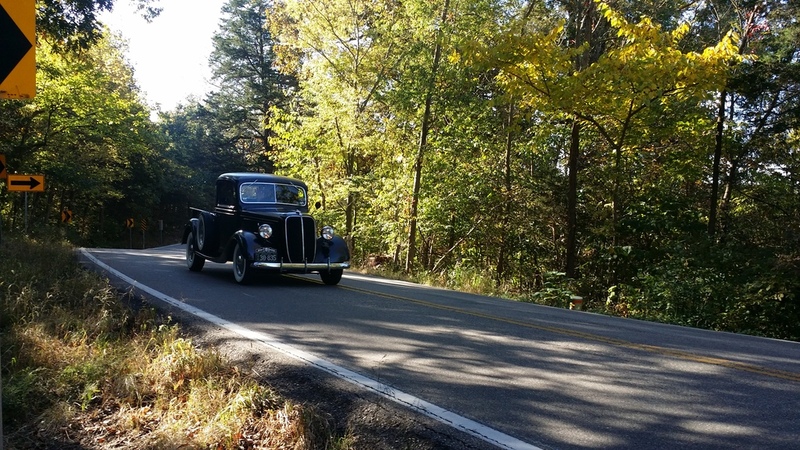 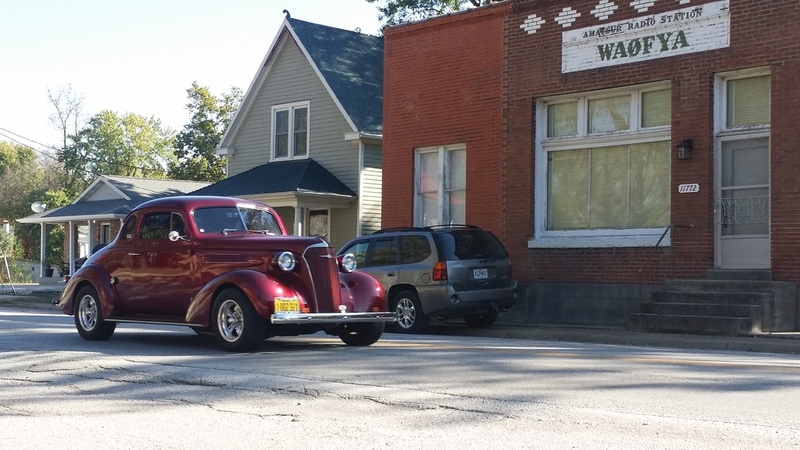 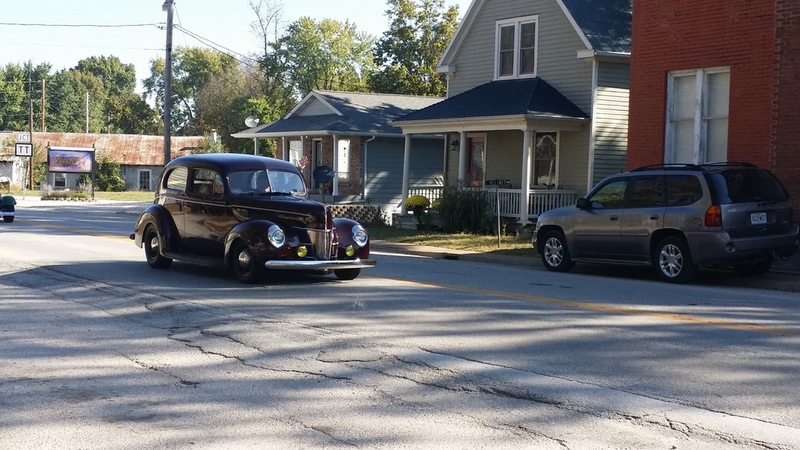 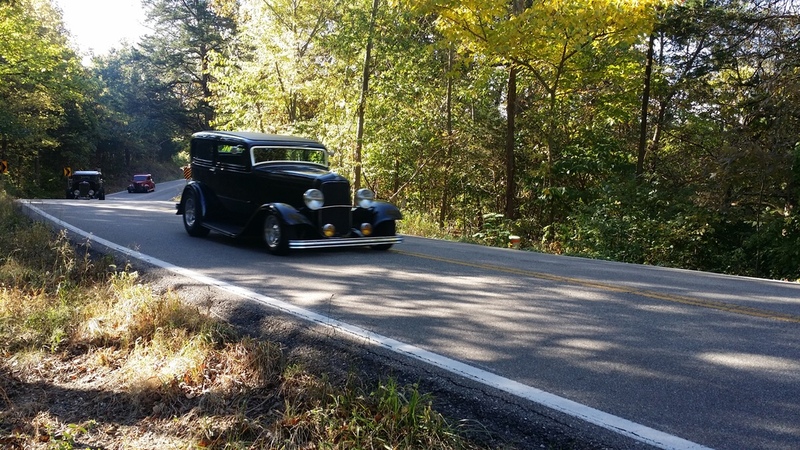 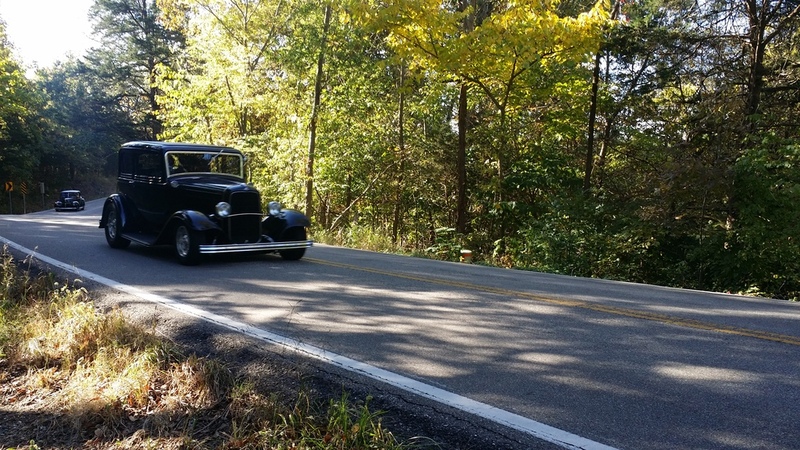 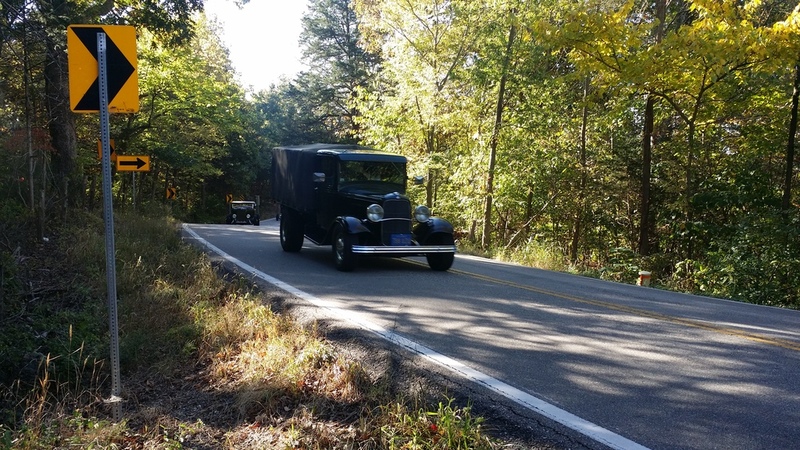 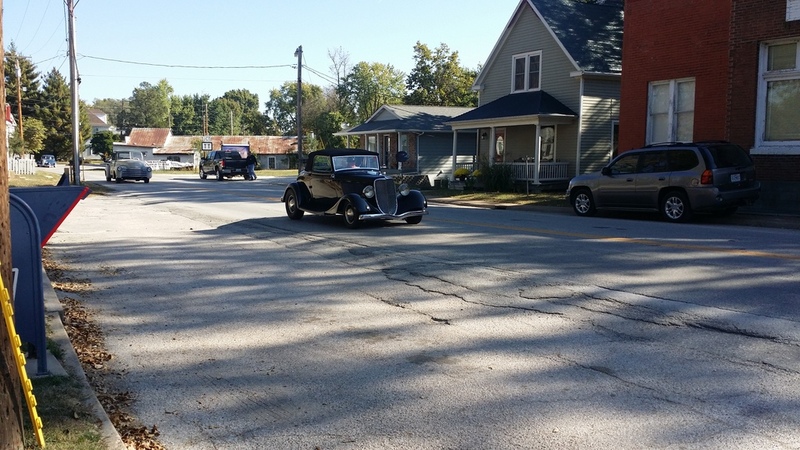 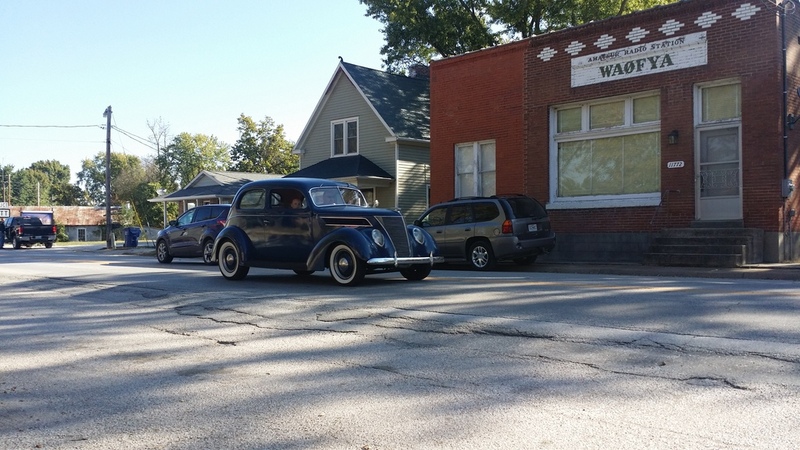 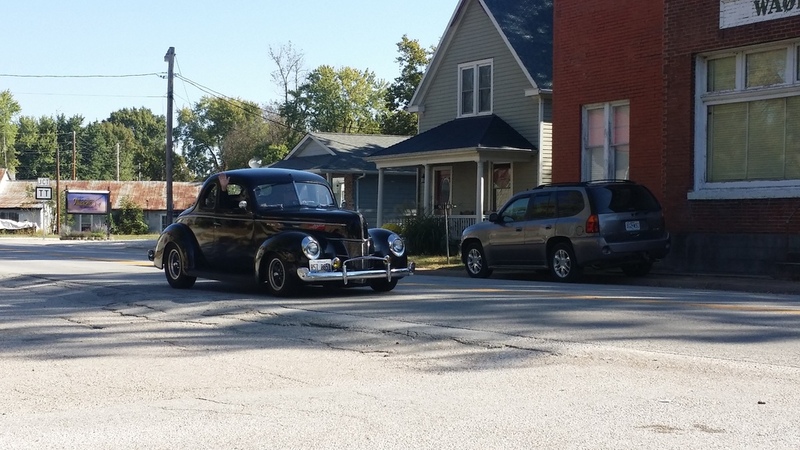 And while I played the part of liberating the silver ’37 Ford Sedan, Jim and Mary Riley have given it a great home, and brought it to play cars with us.